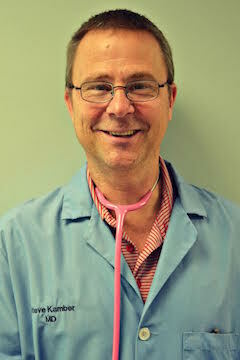 Dr. Kamber completed his undergraduate degree with honors from the University of Kentucky in 1983. 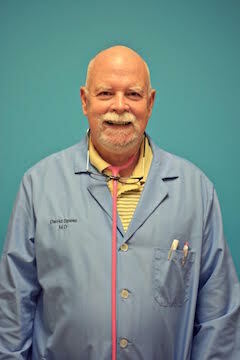 He graduated from the University Of Louisville School Of Medicine in 1987 and completed his pediatric training at Kosair Children’s Hospital in 1990. Dr. Kamber is a member of Phi Beta Kappa Honor Society. Dr. Kamber is happy to announce that his last child has finally started college, and excited to see that his first generation of patients are starting to bring in their own children! He enjoys taking trips on the Big Blue Bus to watch the Wildcats play, and making embarrassingly creative hats for the Kentucky Derby Festival. Lesli has been caring for ill and injured children at Kosair Children’s Hospital in Louisville for over 35 years. 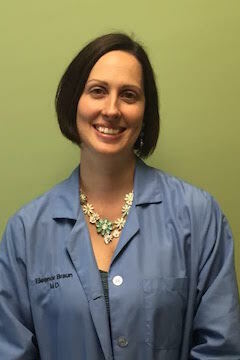 She completed her graduate studies at Indiana Wesleyan University in 2011 and is a certified Family Nurse Practitioner through the American Academy of Nurse Practitioners. Lesli was also a member of the Kosair-Children’s “Just for Kids” Transport Team. Lesli is the proud mother of three, and grandmother of four wonderful children. She enjoys watching her grandchildren grow, spending time with her bible study group, and traveling. Brittany completed her undergraduate degree at University of Louisville, and gained her graduate degree from Indiana Wesleyan University. She is Board certified as a Family Nurse Practitioner by the American Association of Nurse Practitioners. 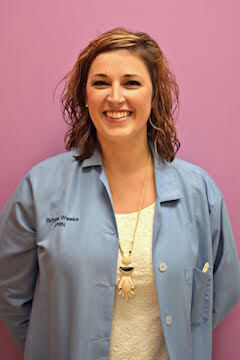 Brittany joined South Louisville Pediatrics in January 2014, and has worked primarily at our Dixie Hwy location, since. She is a proud lifetime resident of the South End, and a former patient of South Louisville Pediatrics. Brittany has an adoring husband, and two active young boys, who play football and soccer, and keep their mom busy on her off days. She has a quirky sense of humor, and keeps the office smiling. Brittany is proud to say that she is South Louisville born and raised! 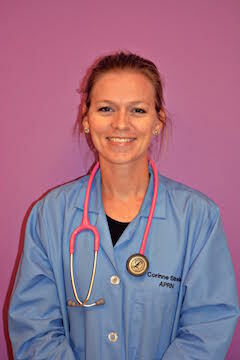 Corinne completed her undergraduate and graduate degrees at Spalding University in 2007 and 2014. She is Board certified as a Family Nurse Practitioner by the American Association of Nurse Practitioners, and a member of the National Association of Pediatric Nurse Practitioners. She worked as a nurse in the Newborn Nursery and Postpartum Unit at Baptist East for 7 years. Corinne also began her time with South Louisville Pediatrics as a patient. Corinne has a devoted husband, and four busy children, who keep their parents up and moving. She can be found at numerous area sporting events, cheering on her children, their teams and their classmates. Patty received her Bachelor of Science degree in 1981 and her Master of Science degree in Nursing in 1988 from the University of Louisville. 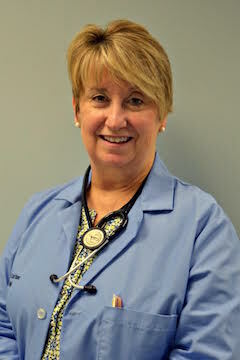 She received a post Master’s degree in Primary Care Pediatrics in 1996 from Indiana University and is a member of Sigma Theta Tau International Honor Society of Nursing. Patty is certified as a pediatric Nurse Practitioner through the National Association of Pediatric and Neonatal Nurse Practitioners. Her nursing experience includes: Neonatal/Pediatric Intensive Care, Pediatric Cardiology and Pediatric Cardiovascular/Heart Transplant, Pediatric/Neonatal Transport and General Pediatrics.